In her new tell-all book, The Whole Truth... 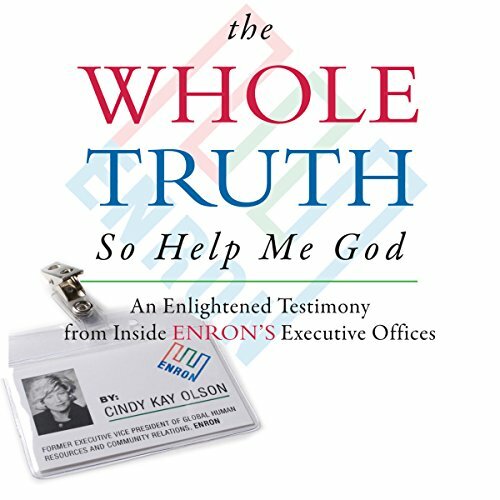 So Help Me God, Cindy Olson, a 23-year Enron employee and the first Enron executive to testify in front of both the United States Senate and House, sheds new light on the countless half-truths purveyed by the media and the justice system. As a protégé and confidant of the vilified Ken Lay, Olson reveals what kind of person he was behind closed doors. As a member of Enron's 401(k) administrative committee, Olson reveals the tenuous conversations and dubious actions that transpired during the company's plight. If you have any questions about this product by Tate Publishing, contact us by completing and submitting the form below. If you are looking for a specif part number, please include it with your message.